Jordan Henderson of Liverpool has recently broken his right foot during training. The midfielder had just returned to training after receiving treatment for a heel injury in the United States. This new injury will keep Henderson out for up to eight weeks, according to Press Association Sport. If he remains out, he will miss important matches against Everton on October 5th and Chelsea on October 31st. If he aims to participate in the match with Manchester City on November 21st, Henderson will have to recover as quickly as possible. 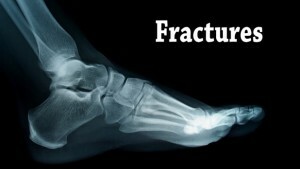 A broken foot requires immediate medical attention and treatment to prevent exacerbation. If you are seeking treatment for a broken foot, visit one of our podiatrists from Foot HealthCare Associates. Our doctors will assess your injury and provide you with quality treatment.